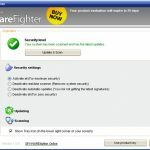 SPYWAREfighter is an advanced anti-spyware product that implements real-time protection. We have carefully tested this program on several computers including absolutely clean machines and PCs infected with different parasites. SPYWAREfighter passed our tests producing sufficient results. Nevertheless, it is not as much powerful as its major rivals are. 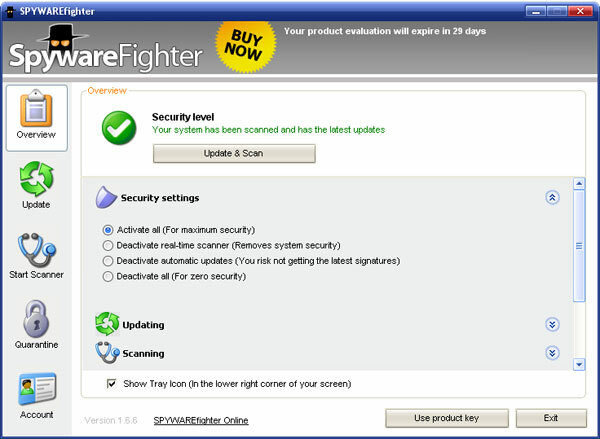 SPYWAREfighter has difficulties with real-time detection of running parasites and malware installation attempts. The application thoroughly scans the Windows registry, running processes, web browser cookies and the entire file system. SPYWAREfighter searches for malware inside archives, detects malicious code injected into legitimate processes, and uses heuristics to identify unknown, emerging threats. The program uses extensive parasite definitions database updated on a regular basis. Currently it contains more than 220000 signatures of known threats. 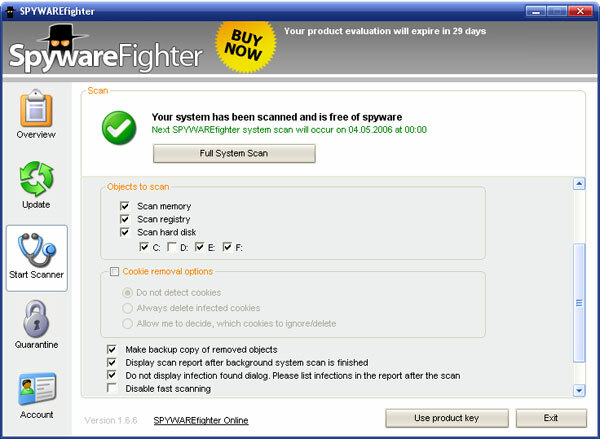 SPYWAREfighter offers only one scan mode. However, it is fully configurable, so the user can disable or enable scanning of certain system components, separate hard drives or cookies. Typical scans usually take 12-15 minutes. However, in some cases (usually, when checking large archives) they need more than one hour to complete. The spyware remover comes with the real-time scanner, which supervises the system in real time and protects it against common malware infections. Unfortunately, we could not see SPYWAREfighter’s real-time monitoring in action. 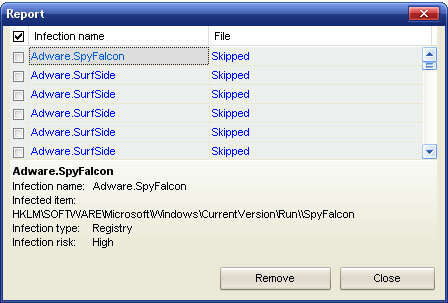 The program failed to detect the installation of widely spread parasites like SpyFalcon or Surf SideKick. The application’s interface is simple and attractive. However, it is not very convenient, even quite confusing. 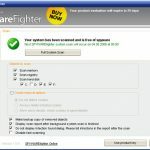 SPYWAREfighter is translated into 6 languages. It must be noted that the program is quite heavy. 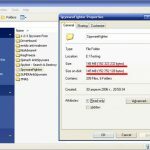 It takes approximately 150 MB of hard disk space, although the vendor states that SPYWAREfighter needs only 15 MB. It is really weird that a simple spyware remover requires more system resources than most comprehensive security suites. The fully functional trial version expires after 30 days. The official web site is www.spamfighter.com. This entry was posted on 2014-05-20 at 07:58 and is filed under Anti-Spyware, Software.